The Government of Canada has placed itself in the front of the drive to reform the 54-nation Commonwealth. The 62-year old organization should be all the better for Canada’s initiative. At the end of last year, Canada’s Foreign Minister, John Baird, announced the appointment of Hugh Segal as Canada’s “special envoy for Commonwealth renewal”. 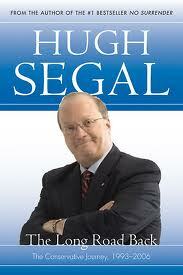 Segal is a much-respected senior member of the Canadian Senate. He is also a former chair and present member of the Standing Senate Committee on Foreign Affairs and International Trade. That experience served him well as a leading member of the Commonwealth Eminent Persons Group (of which I was also a member) that delivered a report on urgent reform of the Commonwealth to its Heads of government at their meeting in Australia last October. The EPG’s report entitled, “A Commonwealth of the People: Time for Urgent Reform”, dominated the Australia summit and is now regarded as a seminal document in the Commonwealth’s history and a solid basis for re-organizing the grouping to make it relevant to its times and its peoples. But some governments found key recommendations of the report unpalatable, particularly a much misunderstood proposal that the Commonwealth should have a Commissioner for Democracy, the Rule of Law and Human Rights. Some governments wrongly interpreted this proposal as an attempt by the “white” Commonwealth governments to create a stick with which to beat “black” Commonwealth governments whose respect for democracy – in all its forms – is lacking or deficient. Other governments argued that the priorities for developing countries were environment, migration, debt and health and that these issues were far more important than a Commissioner for Democracy. The arguments advanced against the Commissioner missed the point that much of the EPG report centered on development issues, including all that the governments identified and much more besides. Further, the EPG recommended that the largest portion of the Commonwealth’s resources should be devoted to development. However, the post of Democracy Commissioner is vitally important. The report argues that just as there can be no democracy without development, there can be no development without democracy. Increasingly, investors – whether they are foreign or local – are looking for countries where the rule of law is upheld and human rights are respected. They are perfectly aware that where countries experience political and social instability, their investment is at risk however rich in natural resources the country may be. Investors shun or leave countries whose governments are intolerant of human rights or make laws to suit themselves. The role of the Commissioner was envisaged by the EPG as one that would help governments to stay on the democracy track and thus improve their countries’ prospects for investment, growth and development. Contrary to the view, espoused by some governments that feared the Commissioner, the role of the post was not seen as punitive. That role properly belongs to the Commonwealth Ministerial Action Group (CMAG) which has the power to suspend or recommend the expulsion of a country. The role of the Commissioner, working with the Commonwealth Secretary-General and the Chairman of CMAG, was seen as one that could help governments that violate the Commonwealth’s democratic values to re-embrace and enforce them. When such successes occur, the Commissioner could also become an advocate for the government concerned in the UN and other bodies concerned with human rights. The role of the Commissioner is still vital and much needed in many Commonwealth countries where, for instance, journalists are abused; women and young girls suffer discrimination by law; and vulnerable groups are denied rights. In announcing Segal’s appointment, Foreign Minister Baird made the point that “human rights, including the rights of women and religious minorities, as well as the de-criminalization of homosexuality in certain Commonwealth countries, will be a focus of our government”. Developing Commonwealth countries should take Minister Baird at his word, and they should engage Segal in the implementation of the recommendations that would benefit them. For countries of the Caribbean, debt is now a huge problem. The EPG made solid recommendations on how the Commonwealth could help Caribbean countries and other small states burdened by debt to meet this challenge and how the richer Commonwealth countries could help to champion their cause and bring about change in the international financial architecture that is desperately needed if these countries are to survive. One critical reform recommended by the EPG is that the criteria used by international institutions to determine eligibility for low cost financing should be radically altered. No longer should it be only the rigid rule of per capita income, it should also include a country’s level of indebtedness, its capacity to finance development programmes; and the higher costs it pays for trade because of its remoteness. This is only one area of the EPG’s recommendations from which developing countries and Caribbean countries would benefit from joining with Canada in their adoption by the Ministerial task force appointed by Commonwealth Heads of Government to oversee their implementation. Another one is a programme that encourages direct investment by firms from large Commonwealth countries into smaller ones that will not only create jobs and reduce poverty, but also increase trade. There are 100 more opportunities in the EPG recommendations to make the Commonwealth matter to its people and deliver benefits to them. Canada is taking the lead in seizing them for which the government should be applauded.